Stay in two to three-star lodges on this week-long Northern Malawi Safari. Highlights of this Budget Malawi Lodge Safari, starting and ending in Lilongwe, include: •Viphya Forest Reserve and Kawandama Hills •Game drives and walks in Nyika National Park •Livingstonia Mission and Rift Valley scenery •Chintheche and Makuzi Bay on Lake Malawi A fun and affordable lodge tour of scenic northern Malawi, exploring a great mix of wilderness areas and Lake Malawi beaches and villages. There will be a max of 6 passengers per vehicle on this small group tour. Welcome to Malawi, known as the Warm Heart of Africa! Setting off from Lilongwe, the capital of Malawi, we drive about four hours north to the forested Kawandama Hills of the Viphya Plateau. Our first destination is part of the scenic Viphya Forest Reserve, a picturesque area of rolling hills where indigenous and exotic forests grow. We spend the night at Kawandama Hills, amid the essential oil plantations, covering some 6000 hectares of the reserve. The Viphya Mountains reach around 5500 feet (1700 metres) above sea level, giving rise to a pleasantly cool climate. Arriving in the Viphya Forest Reserve we visit the essential oil plant (time allowing) and soak up the beautiful scenery. The forests of Viphya attract a variety of birds some of which we hope to spot as we walk through the trees. ∙Picnic lunch & dinner included. Today we continue further north to Nyika National Park, after breakfast. Reaching Nyika Park we have a picnic lunch at the gate before driving into the park to our camp in the heart of the bush. 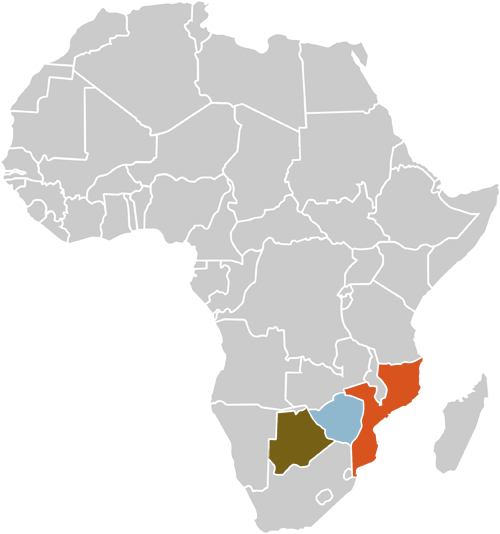 Malawi’s oldest and largest national park, Nyika covers an area of about 3200 km² (1250 mile²) of the Nyika Plateau. A three-hour drive through the highlands of Nyika brings us to our camp which looks out over a dam of clear water. Sit back and relax, enjoying a drink at the bar overlooking the dam. For the more active take a leisurely walk along the river to the dam, returning as darkness falls. Today we explore the untamed wilderness area on morning and afternoon game drives and bush walks. The protected area consists of endless rolling hills and open valleys, covered in pine forests, heather and montane grasslands scattered with wildflowers. Its rich flora draws diverse wild animals and an abundance of birdlife, with over 400 bird species. Nyika National Park is home to zebras, elephants, lions, buffalo and a variety of antelope species, such as bushbuck, eland, reedbuck and roan antelopes. The game park is also said to host one of central Africa’s highest densities of leopards, along with jackals, bush pigs, warthogs, klipspringers and hyenas. Optional activities, available at extra cost, include mountain biking, birding and fly fishing for trout, as well as night game drives. On day four of this Northern Malawi Lodge Safari, we travel to Livingstonia via Rumphi, stopping for a picnic lunch along the way. Founded by the famous explorer David Livingstone, Livingstonia is a historical highlight. This was the final mission station on the Livingstonia Mission in Central Africa, established in 1894. The town offers lovely views of Lake Malawi and serves as an ideal base for walks to the waterfalls in this area. Reaching Livingstonia, we head to the nearby mushroom farm where our next lodge is located. The eco-lodge stands on the edge of an escarpment, at an altitude of 1100 metres, in the indigenous vegetation, overlooking the Rift Valley, Lake Malawi and Tanzania beyond. This morning we enjoy breakfast at our lodge on the cliff-tops, then we descend down to scenic northern shores of Lake Malawi. Following the famous 22 hairpin bend road down the escarpment, we trace the lakeshore south to Mzuzu before dipping into the Rift Valley to reach Chintheche. Chintheche lies just south of Nkhata Bay and boasts some of the best beaches along the shores of this vast freshwater lake. The southernmost lake in the East African Rift Valley, Lake Malawi has clear, warm waters and enjoys a tropical climate, making it a great place for water sports and relaxing on the sandy beaches. As we explore the natural beauty of Malawi, renowned for its warm and friendly people, we also discover its rich cultures. Our next lodge is set in manicured gardens overlooking its own private bay on the massive, tranquil lake. Lake Malawi is flanked by scenic mountains offering a beautiful setting for our last day of exploring. We enjoy a day of leisure on the sandy Lake Malawi beaches and surrounding area. At the secluded Makuzi Bay, there are a variety of optional activities to choose from, including snorkelling, fishing, kayaking and yoga. The bay offers excellent bird watching opportunities and lovely scenery, ideal for strolling and enjoying the peace. Treat yourself to a massage or simply loll in the warm waters of the lake. Go horse riding or scuba diving nearby or get involved in one of the community projects. Take a village tour which includes a historical missionary site, community projects, museum and a taste of the local cuisine. On the final day of our Malawi Safari, we return to Lilongwe driving via the scenic shores of Lake Malawi. Arriving back in Lilongwe in the early afternoon, this unique and affordable Malawi Lodge Safari comes to a close. Your safari includes a transfer to the airport for your onward travels. We look forward to welcoming you back to the Warm Heart of Africa in the future!